Want to host your website without sharing the resources with other users? Try our VPS Hosting service. You will have dedicated resources and a powerful control panel just for you. With years of experience in providing virtual servers, MonoVM guarantees the fastest and highest quality service using premium hardware located in world-class data centers. In order to simplify the website control, cPanel and DirectAdmin control panels provide a graphical interface and a user-friendly layout. They come with administrator and root access which allows you to control all the different aspects of the server and your website directly through the control panel. We have managed to sustain a 99.99% uptime with the help of a team of IT experts that work 24×7 to support our clients. MonoVM VPS hosting packages guarantees your website’s uninterrupted functionality with a powerful control panel backing you up. Didn't find a suitable package for you? Click here to check out all MonoVM web hosting VPS packages. Our on-demand configurations are truly single tenant and secure, and as always, backed by our support from a dedicated support team. All server hardware and infrastructure are owned by MonoVM and it keeps our clients from paying extra. With the VPS hosting package you will have the ability to choose the control panel you desire. All our Virtual Private Server orders include Root and Administrator access. You will have complete access to all the functionality of your VPS. MonoVM VPS servers are hosted in world’s first-class datacenters in more than 10 locations around the world. You can decide the location which is more convenient for you. Our support team consists of professionals in software and hardware related problems which helps us provide you with world-class support quality. All VPS servers provided by MonoVM are based on enterprise-level hardware with latest networking technologies in place, allowing us to guarantee a 99.99% uptime. We have been in the industry for more than 8 years, providing top class dedicated servers which are located in premium grade datacenters around the world in more than 10 different countries. They are managed with the help of cPanel and DirectAdmin which allows the control of subdomains, addon domains, email accounts, and much more. How to Add an Extra IP to CentOS 7? What is the difference between VPS and web hosting VPS? There are many uses for VPS but our web hosting VPS is specifically for hosting websites. Unlike shared hosting you will have dedicated resources for your server with uninterrupted performance. What will happen if I reach my bandwidth? How long will it take to setup the VPS? We accept credit cards, PayPal, Webmoney, Perfect money and all cryptocurrencies as our payment methods. Will a domain be provided with the packages? 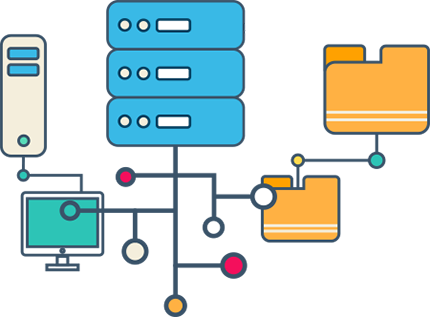 All our web hosting VPS server packages come packed with a multitude of features, all designed exclusively for improved uptime, customer satisfaction and easily managed servers. MonoVM VPS services are based on a powerful VMware ESXi hypervisor, allowing us to provide truly dedicated resources and stable performance to your virtual machine. Using first class powerful hardware and RAID10 technology in our VPS servers, we assure performance, speed and stability. We provide full root or administrative access, where you will have total control over your environment, allowing you to host websites on your VPS. All our Linux VPS servers are managed by cPanel and DirectAdmin control panels by default. This is the industry's most widely used and well-supported control panels. MonoVM provides 24/7 customer support via phone, Skype, online chat and a well developed ticketing system. You are not limited to a single OS choice. We provide all stable versions of the industry's most used server operating systems. We guarantee a 99.99% uptime due to our trustful enterprise network structure and unlimited traffic bandwidth provided within the world-class data centers.